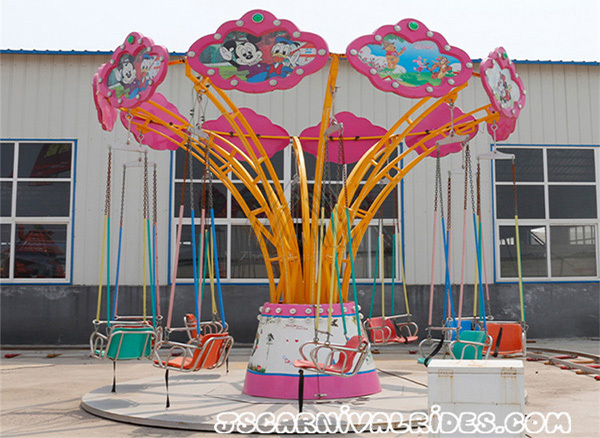 Mini flying chair , is a type of class amusement attraction. 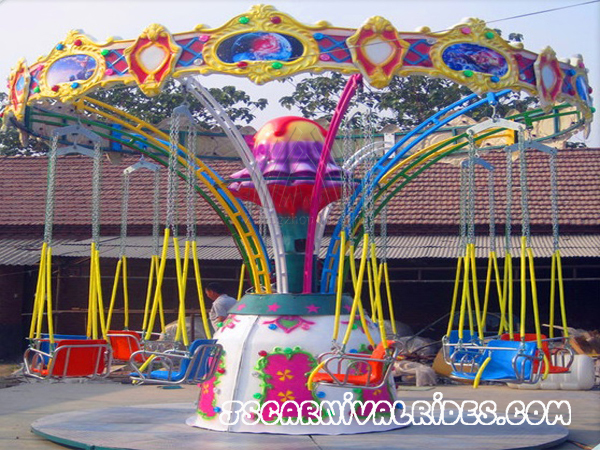 It is very popular in the amusement parks, both adults and children love to play this flying game, for it’s a thrill ride but not very thrilling. 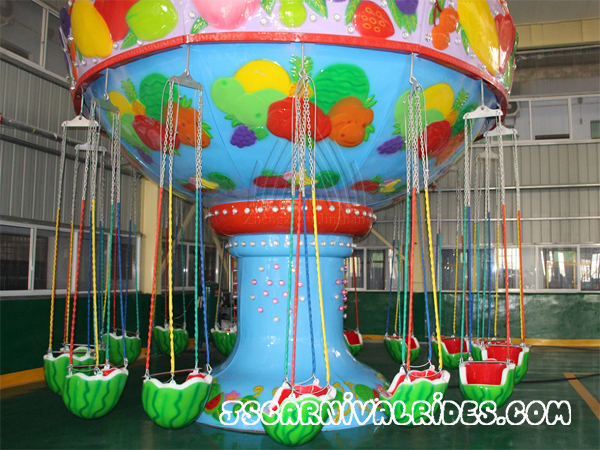 Passengers sat on the hanging chairs and gradually rise up when the big turntable begin to rotate. 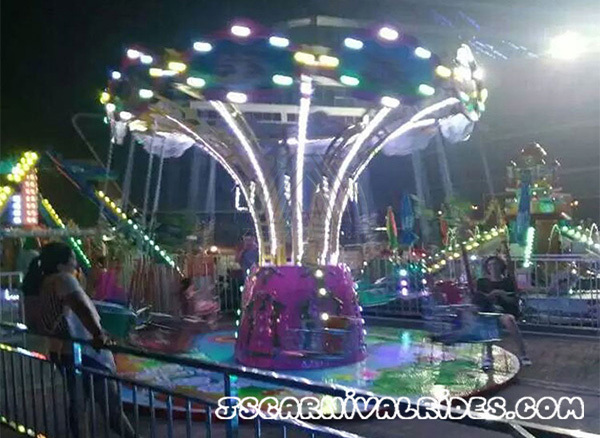 Passengers under the influence of centrifugal force will feel like flying in the sky. People will get a lot of fun from this equipment. 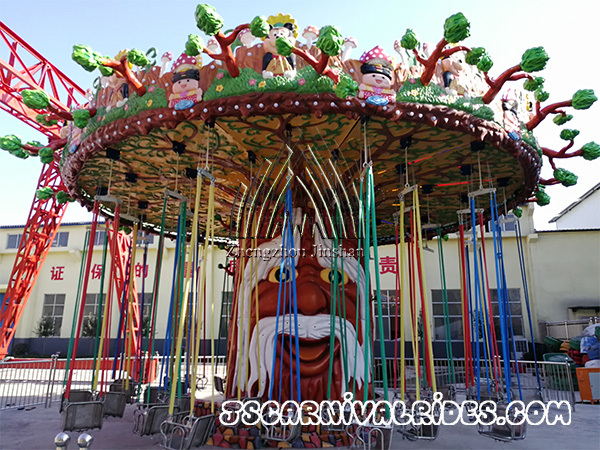 The top cornice and the central FRP column of the flying chair are equipped with colorful lights, especially fascinating at night. 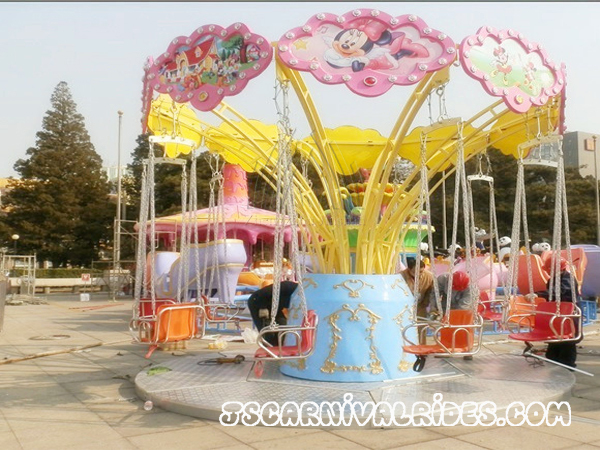 Passengers ride on the chairs can experience the feeling of flying and incomparable happiness. 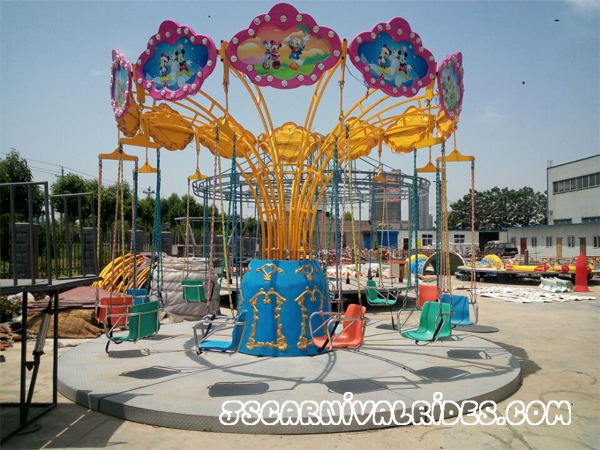 Zhengzhou Jinshan Amusement Equipment Machinery Co., Ltd. is a leading company that focus on long-term design, production and sales of various types of children amusement equipment. 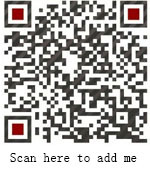 For more information about various playground equipment, welcome to follow or inquiry, we will answer for you in a timely manner.